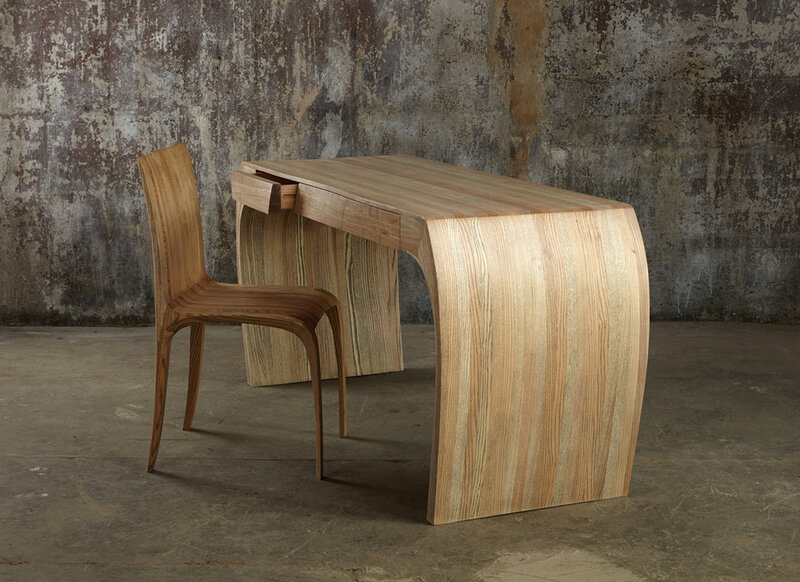 Solid Ash desk, steam bent with white oil finish. Edition no 1 of 3 with traditional drawer runners and secret compartment. Initialled ‘JF’ on the underside, consecutive making number 170.